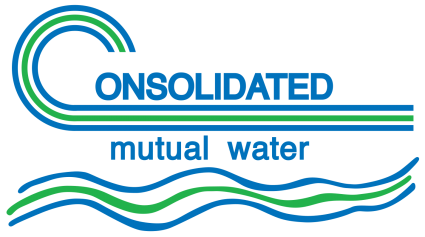 The Consolidated Mutual Water Company is converting to monthly billing on February 1, 2019. For decades The Consolidated Mutual Water Company has billed customers every two months – with a one-month delay before you received your two-month water bill. The result – you, our Stockholder/customer – were required to pay bills for 58 to 62 days of water use, and with a one-month lag time before you received the bill. You were paying for water usage from 90 days before you received the bill. This procedure was developed because we had to visit every customer’s property to read the water meter. Now, however, we have updated our meter technology and we read meters from our main office and don’t have to visit your property. Therefore, this new meter reading technology allows us to convert to monthly billing, with no real lag time in delivering your bill. A one-month water bill allows you to pay your monthly water bill along with your other monthly bills and eliminate surprises in the summer months of high water bills. We have chosen to transition to monthly billing starting February 1st, 2019 because we’re billing all 23,000 Stockholders/customers in a 30-day time period – which requires ‘catching-up’ on billing for your water usage in November and December of 2018, and January of 2019. Please be advised that we’ve chosen February 1st, 2019 to transition to monthly billing because household water usage is traditionally very low in November, December and January; therefore, ‘catching-up’ for November and December 2018 and January 2019 should be as small a financial impact and inconvenience as possible. Call Consumer Services at (303) 238-0451 or email us at ConsumerServices@CMWC.net. Select an item marked with a to view a description. The different ways you can contact us. Easy to find notification of past due balances. The amount due from your previous month's bill. The charge for the amount of water you consumed since your previous reading. The amount you paid within the past 30 days. Your service classification. For details visit Rates & Consumer Services page. When paying by check, please include your account number on your check. The address receiving service and type of service being received. For details visit Rates & Consumer Services page. Easy to find notification of current balance and when it is due. Track your water consumption and find ways to save money on your water bill. For details visit See Your Consumption page. An area for important messages. Your previous reading (with the reading date in parenthesis). Your most recent reading (with the reading date in parenthesis). In bold is your total usage (with the total usage days in parenthesis). Please note, you may have multiple lines some months. For your convenience, you can pay your bill online, by phone, by mail, or in person. For details visit Pay Your Bill page. For your convenience, you can fill out and mail this form to us to update your mailing address for your property. Easy to find notification of current blanace and when it is due. Click here or the “Pay Your Bill Online” button below to make a one-time payment, or to set up the convenience of recurring, automated payments.